My Hero Academia is a superhero manga and anime series. It talks about the story of Izuku Midoriya, a boy that is born without superpowers called quirks, which is not normal in their world. The buy dreams of becoming a hero someday, just like his idol Toshinori Yagi, also known as All Might. Now, Toshinori Yagi is a teacher at the U.A. High School, teaching Foundational Hero Studies. He is also a former No. 1 Hero that had the Symbol of Peace. Toshinori is also the eight holders of the One For All Quirk. He transferred the Quirk to Izuku then used up the remaining embers he had left to defeat All For One. He retired after that battle, which also ended his reign as the No. 1 Hero. Despite not being the No. 1 Hero anymore, All Might remain as one of the most popular heroes in the series. 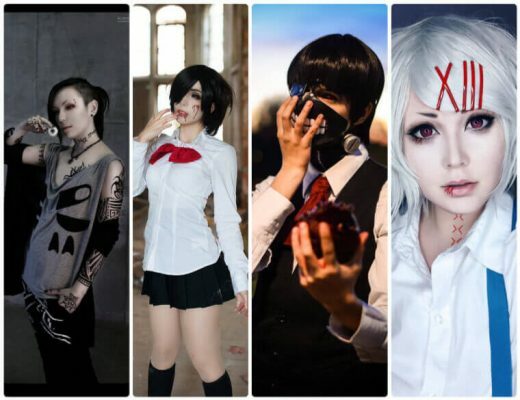 That is also why he is a favorite choice for people to cosplay in. The character is known to wear only two distinct outfits, so dressing up like him is not that hard to achieve. You have two choices to cosplay All Might, one is dressing up as his usual original self, and the other is dressing up as his superhero persona All Might. As the All Might Hero, Toshinori is very muscular and strong. This cosplay set comes with All Might’s Golden Age Hero costume, which is a skin-tight blue body suit. It is decorated with a red Y-like symbol on the front with a white diamond across the chest. The All Might cosplay also comes with a gold belt, gold bracers, and yellow boots with red and white lines at the top. 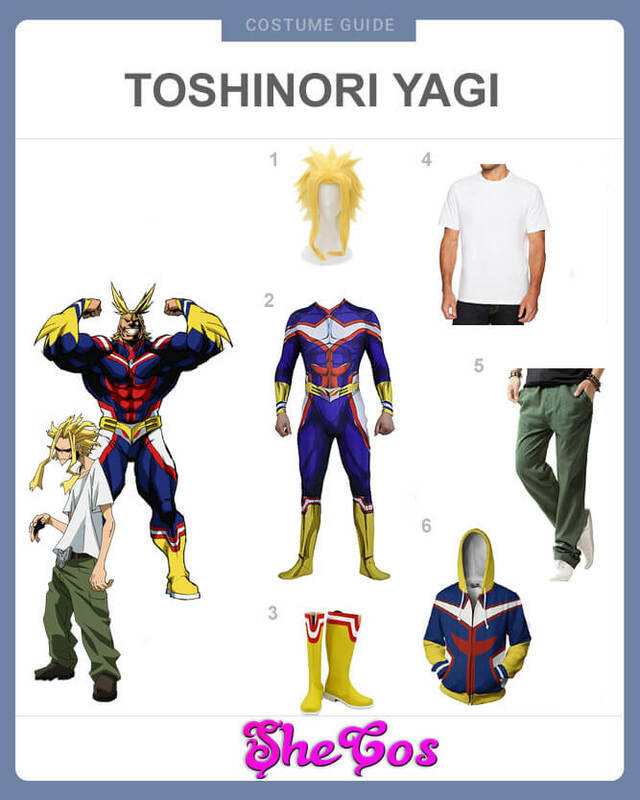 The costume also includes a blonde wig for Toshinori’s unusual hairstyle. Dressing up as the normal Toshinori is easy, as it only requires a white t-shirt and green pants. The wig will also work for this costume. If you want to add some more flair to the look, you can even wear the All Might Hoodie daily. Toshinori Yagi’s All Might Hero persona seems to come from the western hero, with his colorful personality and knack for flair. The superhero is also known to always having a big smile, regardless of the situation he is in, and a can-do attitude to help inspire others. Toshinori’s original appearance and personality are a bit opposite to All Might, as he is less energetic and enthusiastic. He is also more of a worrywart and doesn’t draw a lot of attention to himself. 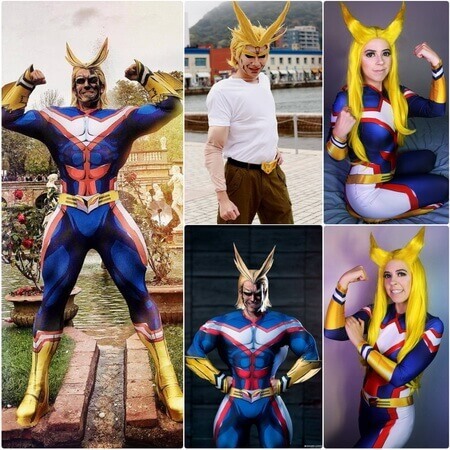 When it comes to dressing up as All Might, it comes down to who you want to portray, the All Might Hero or his true self. 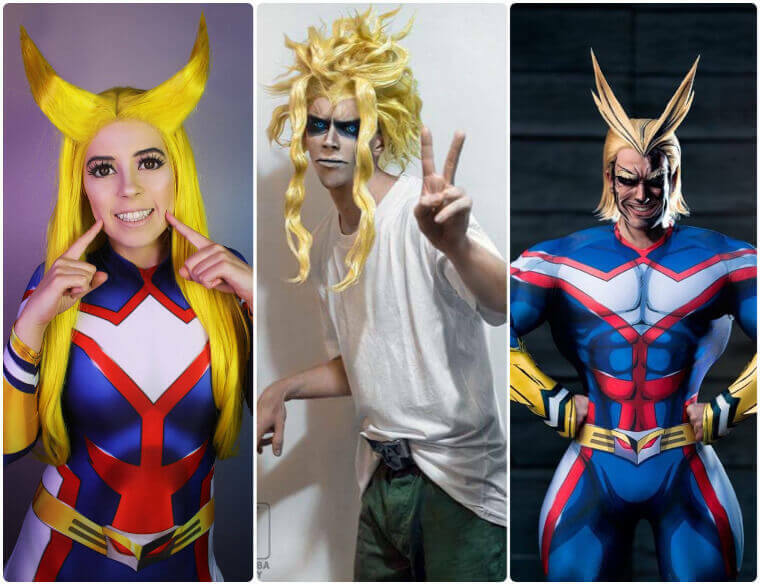 All Might is likely the most common choice people will have, but if you look at the cosplay photos, looking Toshinori Yagi is not a sad look to have as well. You can even do a bit of combination, wearing Toshinori’s attire but sporting All Might’s physique.